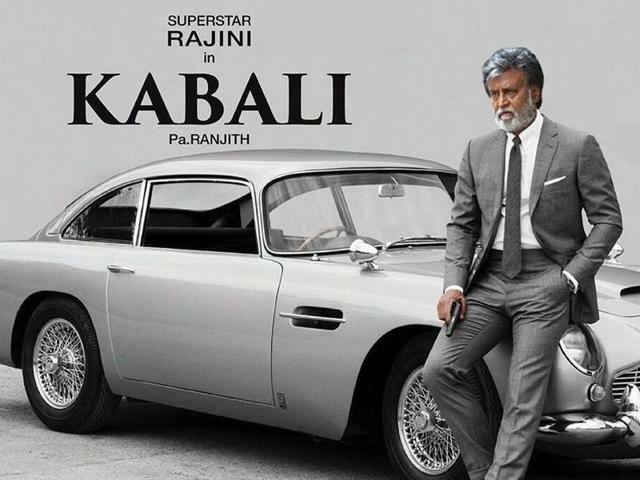 Kabali, well before its release managed to create a real sensation among the Rajinikanth fans. Finally the movie released in theaters of India on 22nd July, 2016. The movie casts Rajinikanth, Radhika Apte, Prakash Raj, and Winston Chao in the lead characters. This was one of the most awaited action thriller movies of the year. The film story written by Pa Ranjith and he is also the director for the movie. In this film Rajinikanth played the role of a gangster named Kabali who raised voice for oppressed Tamilians in Malaysia during the Pre-Independence period and now returning back home after twenty-five years stay in jail. The best part in this film is that for the first time you will get to see the soft side of a gangster. The way Kabali handles the different stages of betrayal in life and how he tattled his enemies showcased in the movie in a complete neat manner. In this film you will find Rajinikanth in 2 looks. One as ester year Kabali and other one as Kabali – aged 60 years don. He was just the perfect in both roles. The sentimental sequences of the movie are the most talked about points among the fans as that gave them the chance to visualize the different shades of a gangster. When Rajinikanth is there in any film then chances are less for other casts to get highlighted. Still Radhika Apte in the role of Kabali’s wife is just perfect. She made strong portrayal of the character and justified the fact that she is an actress with a difference. The other characters in the film did their share of justice for the film. Few scenes of the film are really impressive but there are few more which can be made even better by Ranjith as director. Kabali is a definite watch for the Rajnikanth fans and for those who love action thrillers. Indiacafe24 gives it a rating of 4 stars.